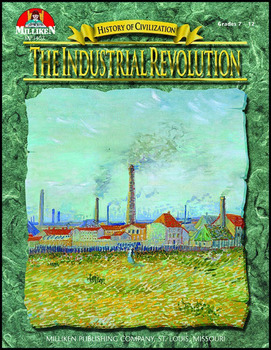 "The Industrial Revolution" (1760—1870) covers the century of extraordinary inventiveness and unprecedented industrial and economic growth which began in mid-18th-century England and spread throughout Europe and the United States. Notable inventions discussed include the steam engine—which revolutionized transportation and international commerce—and the spinning jenny, which led to the mechanization of textile production and the development of the factory system. Special emphasis is given to the dramatic social, political, and economic effects of industrialization including its ill effects on family life and the birth of socialism.